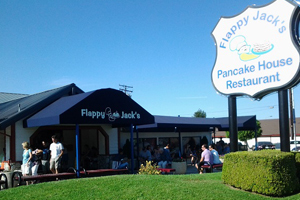 Founded in 2002, Flappy Jack’s first opened in Glendora, California on the world famous Route 66. Owner Theodoros Romios brought the concept from Chicago, Illinois. Mr. Romios, with many years in the culinary business and working knowledge, has created recipes for pancakes batter,waffles, crepes and many more breakfast and lunch items using the highest quality, freshest products and ingredients available. Fast-food chain serving Mexican-style rotisserie chicken, slow-cooked in a signature marinade. 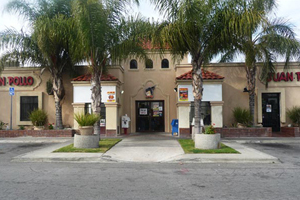 Juan Pollo is a Mexican-style rotisserie chicken restaurant chain headquartered in San Bernardino, California founded in 1984 by Albert Okura. Since 1984, Juan Pollo restaurants have been selling the BEST tasting chicken available anywhere! The chicken is cooked the original Mexican way – “Rotisado” or rotisserie style. Natural juices plus special seasoning are sealed inside due to exclusive marinating and cooking techniques. Every chicken is marinated overnight before cooking, and all menu items are prepared fresh from scratch each day. It was 1951. A man by the name of Chuck Bradley, who spent considerable time with a fishing pole in his hand, came to the Colorado River with his beautiful wife, Betty Jo, his pint-sized son Mikey, and the family dog. The dog’s name was Juicy. Fishing out on the lake one morning, ominous black clouds began a rapid descent onto the family. 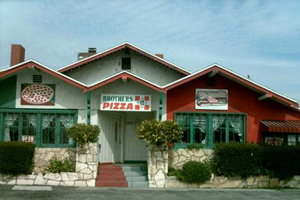 Brothers Pizza has been proudly serving the City of Rialto since 1984. 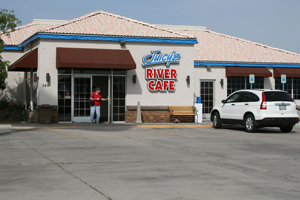 Located on historic Route 66, pizza recipes have been handed down for 2 generations. Perfected pizzas to satisfy even the greatest of pizza lovers. Its no secret that great food starts with using the best ingredients. Proud to serve delicious hand-tossed pizzas & pastas made from only the freshest, high quality ingredients. The Hat has served its prized Pastrami to hungry guests. The restaurant is a Southern California fast-food restaurant chain specializing in pastrami dip sandwiches. This iconic eatery, once local only to the San Gabriel Valley, has been offering its “World Famous Pastrami” to Southern California residents since 1951. The roomy restaurant also offers outdoor seating at umbrella tables. The Hat is a member of the Chamber of Commerce.